School has had to be missed by all 3 at different times over the last few weeks. Church has had to be missed. Many of my diary things have had to be cancelled and take a back seat, and I’ve been late & last minute for many other things. Sleep has largely been missed too. The trouble with illness in a family is partly high anxiety. Anxieties run particularly high about sickness bugs, but happen with all the common illnesses that come and go. Quarantines have to be established. Panic at other people ‘touching my things’ or being too close, ‘in my bubble’ reaches another level. Many times when one person in the family is ill others become genuinely physically unwell brought on by anxiety – which of course I can never be absolutely certain of, so the same quarantine procedure has to be put in place which although helps some makes that person feel even more unwell. Yes there’s plenty of anxiety about catching whatever it is. But there’s also high anxiety about the different physical sensations about the symptoms. Some sensations are intolerable, creating regular sensory overload and meltdowns – especially difficult in the nighttime. Some sensations are just plain frightening, which causes huge unmanageable emotion also resulting in meltdowns. The trouble with illness is the difficulties of communicating and understanding. ASD for us includes difficulties distinguishing emotions (Alexithymia is the name for this, we often think of it in terms of emotional literacy) which makes it incredibly difficult to even know what’s being felt and then there’s the other hurdle of putting it into words. Emotions and physical sensations all roll into one big bundle of overload that is very difficult to manage, self-regulate, and generally put up with! And all Andrew & I can really do is try to keep things as calm as we can (not easy) and try to help name things for them which can sometimes help to break that bundle down into smaller packages. We can provide some structure and safety, the temperature checking, the written down times for painkillers, the bringing of water, food and stories. The trouble with illness is partly the anxiety it evokes in Andrew & I about the long term impact it has on us all. We worry intensely about whether the break in the routine of eating (relatively well) will be near impossible to come back from. And despite it being a ‘good patch’, with weight gain and more energy than ever before it is something I have yet to relax about. We worry intensely about whether we are missing something serious when it is difficult to find out what is hurting/different/bothering them, so our usual high alert goes into overdrive. We worry that we may never get any sleep, ever – which may seem irrational, but seems to be backed up by an awful lot of evidence when I sit and dwell on it. We worry we will run out of the energy we will need to keep going and step up to the challenge of establishing ‘normal’ routines again once they are better. And we have to lean back onto our faith that we are not doing all this alone, or in just our own strength. That we are loved by a Father who knows we worry and loves us still. Who understands us and our three unique children especially when we are struggling to understand, and who knows what we need. We have always tried to pray with our 3 before bed, right from the beginning, and have gradually encouraged them to join in and pray out loud too. Quite early on we discovered the need for a definite ending prayer that would unequivocally signal the end of prayer and the need to settle down to sleep. And so it came about that THE goodnight prayer came into being, a rather jumbled paraphrase of the blessing in Numbers… the first time we used it was from memory and from then on it has had to be the same! “The Lord bless you and keep you, the Lord make his face to shine upon you, lift up the light of his countenance upon you, and give you His peace” – our rather imperfect version! Similarly with A prayer took on a structured pattern early on. The pattern has changed, and has been shaped by trying new ways of praying, and new questions to ask as we pray together. Most recently it has been influenced by the Ignation Examen idea of reflecting on the blessings of the day and recognizing God’s presence throughout the day. With T we have she hasn’t easily adopted the goodnight prayer we use with the other 2. In fact on the whole she is rather resistant to praying before sleep! There are plenty of other times in the day when this isn’t the case so it’s not felt like a panic, but there is something significant, important about praying over them just before sleep, handing them over to God’s care while they rest. 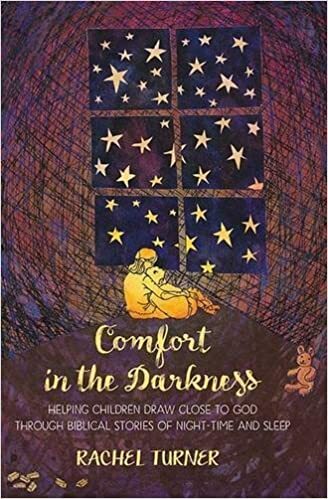 Also bedtime is the time for anxieties and stresses to get in the way of rest – prayer is vital, and I would love it if we found a way to help her to join in. We had a difficult time getting T to sleep again last night. There were real and paralyzing worries about dying and never seeing Panda & Pandy again, or me dying or of me left behind if she dies. We needed to pray out loud together and find the peace and reassurance God can give. And it suddenly came to me (I’m sure because we had spent the weekend with my Mum, and it had stirred in my subconscious) that she would relate to the goodnight prayer of my childhood, that my Mum or Dad would sing to me, or with me before sleep. She loves songs – it’s how she naturally talks to God such a lot of the time. So I asked if I could sing the goodnight prayer I always had at bedtime when I was little, when I was upset or scared. She agreed! 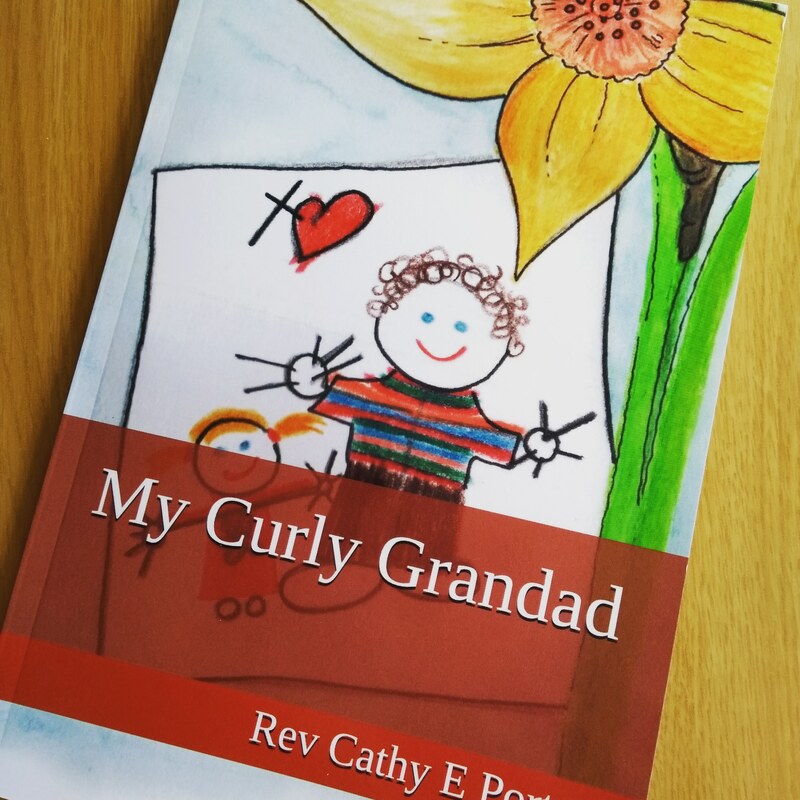 So then I had to sing – it came flooding back as clear as if I was a child again, as I held her and prayed over her for God’s peace and protection. She liked it so much I think I sang it through about ten times! We may have found her goodnight prayer! secure from all my fears. How do you pray at bedtime? Is there a special goodnight prayer you use? Well it’s been quite a week. School holidays have fallen before Easter week so we have been juggling, simultaneously trying to help everyone get some ‘rest’, finish the preparation for the Easter events at church (Andrew has still been at work this week), get the house ready enough for visitors and gently tackle the inevitable mound of homework and negotiating all this around the general life of the vicarage. Rest has looked like less pressured mornings, some TV & breakfasts in bed quickly organised and fetched for others (which has meant a bit longer dozing for me), less rushing and urging to get dressed by a certain time; the usual bedtime routines but actually as we’ve got nearer the end of the week we have even had a couple of nights where everyone has been asleep between 1 & 6am!! Extended imaginary play , left out to come back to again and again, spilling out of bedrooms downstairs & out into the garden. The garden – a new flower bed is underway and I have had a little more time than usual… and of course have also had ‘little helpers’! Time to get lost in Sims, Minecraft, the latest TV shows of choice, some good books, music. Facilitating rest for everyone has also meant feeling like a Ringmaster holding back lions in one hand and horse whispering with the other whilst cheering on the clowns and keeping a keen eye on tightrope walkers. This has been a balancing act as always. It has meant sometimes trying to mute the noisy play or lead it out into the garden whilst meetings happen – inevitably it seems to be the one moment no-one wants to watch something, or run madly in the garden, or bounce on the trampoline. And I end up feeling like a Band master with a very unruly set of musicians each with their own music and very prone to falling out with each other and with me – loudly! It has also looked like sitting in the sunny kitchen with a cuppa making salt dough crosses with T (a horse whispering move and also a job on my to do list) and breathing, and chatting with neighbours who popped over and joined in. It has looked like laughing with B as we found space to paint some over sized palm leaves that Andrew needs for the Palm Sunday service tomorrow – and relief that we got them done in time between us. It has meant typing away late at night, sitting in the dark waiting for B to get to sleep. trying to piece together the thoughts and plans that have come to me or been consolidated in my mind during the day in the bustle and noise. So it also looked like slightly reluctant, anxious about my prep, guilt ridden playing with the sand pit this afternoon, and finding lots of amazing creepy crawlies to observe, including massive worms, and a beetle stuck on its back, and things with so many legs (and so fast) we couldn’t count them all. Some of this is easy enough, and my shadows this week have been happy and able to help with some. Washing has been tackled, and in some ways is easier with good weather – hanging out on the line is something T loves to help with at the moment. Cleaning bathrooms though has been interesting. Standing on a chair cleaning around the blind explaining over and over to a more and more frustrated T why the chemical cleaners I’m using to prevent mold are things she can’t use, which means she can’t help, and how she couldn’t reach where it needs to go. Conversations like that quickly become an intense cycle that it is very hard to get out of without meltdown, she gets locked in, focused on the one thing she is desperate to do. So it became a bit like practicing difficult acrobatics whilst being a lawyer defending myself, and at the same time being thrown at, pulled at, tugged at and poked. Tidying T’s bedroom enough to be safe has had to be stealthily and silently attempted once she’s been asleep, little by little, carefully choosing which items I suspect ‘can’t be touched’ or moved that are still placed in the game, and those that appear to have been dropped or thrown out to find the next precious thing to be placed in the game – those I can put away! The silent mime artist. Some homework has been done. Still more to go, and I’m on the wire keeping the balance between the desperate need for rest and the anxiety avalanche that will come if it all needs tackling under time pressure nearer the end of the holiday. However, T’s maths challenge for the hols (an Easter code cracking hunt) was craftily supported seamlessly as I moved around the house cleaning out guinea pigs, getting them out for some fresh air, and getting them back in to a freshly cleaned hutch… I don’t think T even noticed me achieving both – the illusionist! – so maybe it wasn’t all bad today, maybe when I’ve had some space to slow the pace and process all of the day I’ll see more was done than it feels like. And perhaps the things that didn’t get done that were on my list weren’t as important as the things we did instead? which leaves me (at ten to midnight, having just said goodnight, finally, to B) also wondering what God may have been nudging me to notice or learn about today that my frustrations and anxieties were getting in the way of. It was another nightmare. So there we were again in the middle of the night, me & T trying to find some calm. At first I wasn’t sure if she was still asleep and simply shouting out but as I gently came alongside and held her, and asked her to explain. It became clear. I think I must have fallen to sleep right there in her bed (yet again! ), I woke up to my alarm – Andrew shouting from the other room that my alarm was going off, and where was I! As I sleepy as ever, got B downstairs for breakfast and another day began I was reflecting how amazing that night time chat had been. How wonderful it is that we can ask God to come even into the situations of our dreams and he comes to us quickly, and turns the situation around. And how encouraging that since the last time I had been with T through a nightmare and had coached her through inviting Jesus in and looking for him, she has taken it in, and run with this new possibility – she had already asked God to help before I even got there! I was also so thankful that the Spirit dropped just the right verses into my mind, against all the odds – I was so tired, not able to think straight, and it was the middle of the night after a day & a half of intense, difficult parenting – I had gone to bed (for approx an hour) feeling anything but calm and gentle. But His grace covered all of that & gave me what I needed for that moment with Him & T.